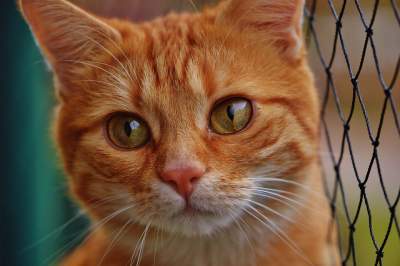 Before we dive into the list of 20 most affectionate cat breeds in the world, we would like to remind you of something….. Guess what? Cats are generally known for being independent feline creatures, but that doesn’t mean they aren’t affectionate and loving. 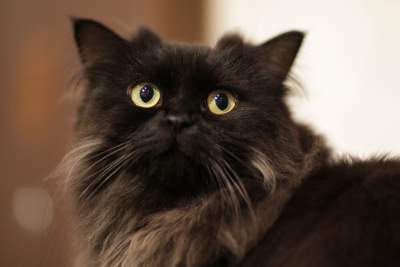 Some of the friendliest cat breeds are even known to crave for their human parents presence. They desire to follow them around, and snuggle up in their laps for some love cuddles. 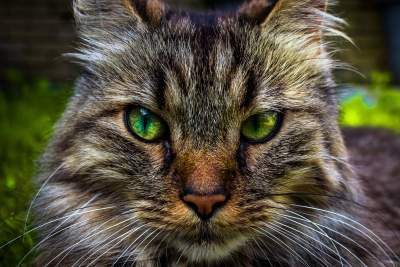 Without wasting any more time, here are more than 20 of the most loving and affectionate cat breeds that will melt your heart away. The Devon Rex is another breed that loves to sit on shoulders to stay close and see what’s happening. They are friendly, quiet and love puzzle toys. 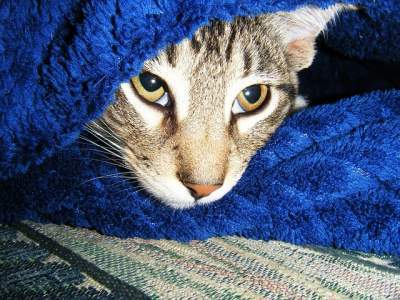 Another super power of Devon Cats is finding the warmest place to sleep, which is often under the covers with you! The Sphynx cat loves human touch and attention. They are also attention-seekers and love to act funny causing humans to laugh. They are also referred to as “Therapy cats” because they tend to love everyone they meet. 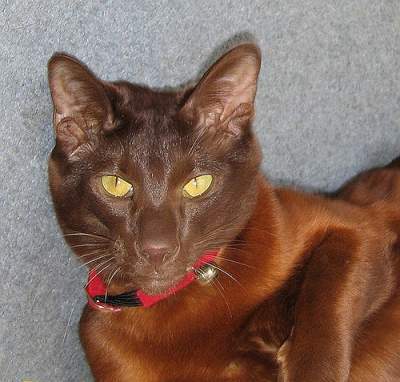 The Burmese cat is one intelligent cat breed. It needs people around to challenge its brain. Burmese cats also get along fine with other pets. They are playful and curious by nature, and they seldom will give you a moment of privacy. 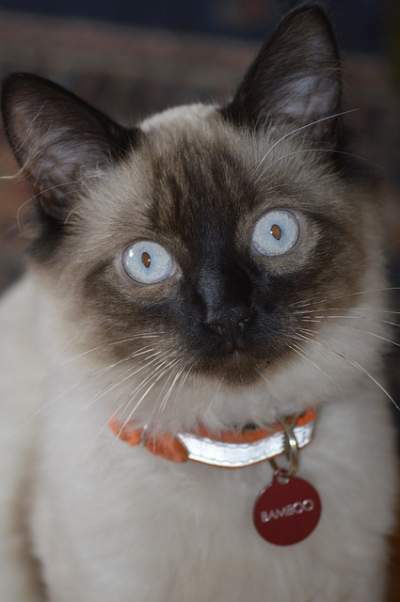 If you are someone who enjoys conversations, a Siamese is the perfect breed for you. They’ll follow you around and meow all sorts of advice to you. They are attention seekers and will happily cuddle on laps or tucking into bed next to you for the night. 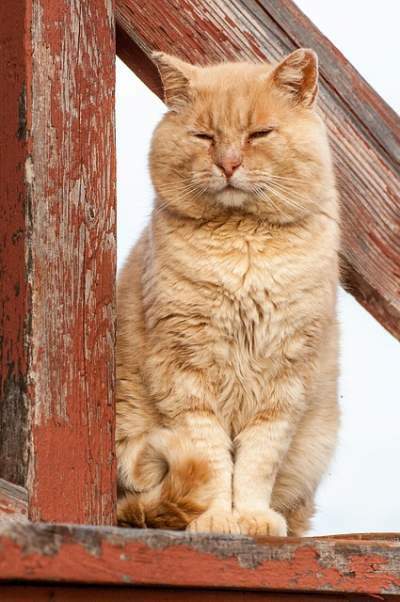 It’s no wonder it made our list of 20 most affectionate cat breeds in the world. The American Curl cat is known for loving people, and it will even go around looking for children to play with. They will walk with you around, but aren’t a chatty type and demanding as other breeds. They maintain a youthful energy into adulthood. They have a youthful energy which they maintain it into adulthood, and they can open doorknobs, so watch out! 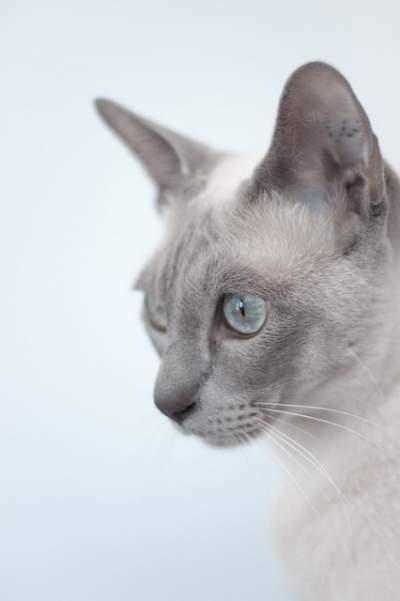 Tonkinese Cats are active, smart, and affectionate. They’ll probably walk with you around, ride on your shoulder, and constantly want to see what the family is up to. This is why they’re undisputedly one of the 20 most affectionate cat breeds in the world. They do not enjoy being alone, so it may be best for them to have a companion if you work outside of home during the day. Egyptian Mau cat aren’t shy in letting you know when they’re happy via swishing their tails and chortling. They are dedicated to their families and will hunt for them, so hunting toys are necessity. 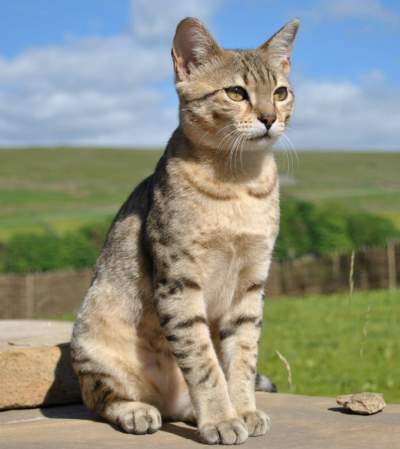 They love water and so far, are the quickest domestic housecat, able to run at speeds of 30 mph! Ragdolls earned their name by collapsing into the arms of people that holds them with affection and love. They’re smart and quick enough to learn tricks, but relaxed enough to snuggle up. They are easy going and have good manners. 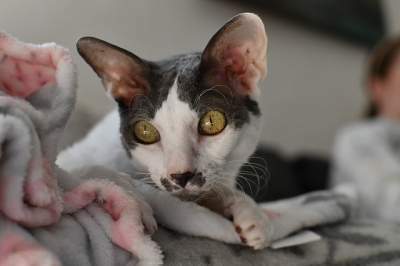 The Cornish Rex cat belongs to the class of the most doglike cats. They like to play fetch, getting picked up, and being the center of attention. Although gentle, they are not quiet and are active, so they aren’t cat for someone who wants a laid-back pet. 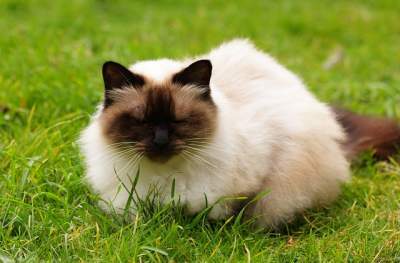 Birman cats are one of the friendliest cat breeds known to be quiet and calm, and their quietness at times gets them into trouble. They kinda have a tendency to sneak quietly into places they ought not to be, so check your bags before you leave the house. They love to be involved in almost every other thing that you do. 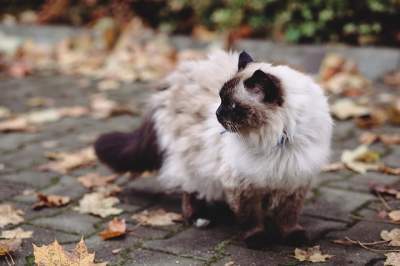 The Himalayan is a relaxed and calm breed. They love to sit on a nice lap with a human that recognizes how much affection and love they deserve. They’re great at playing tea party with their human companion children family members, and they even adore being pampered and strolled around in a buggy. Humans that show them the love they deserve also get rewarded with their plenty affection. 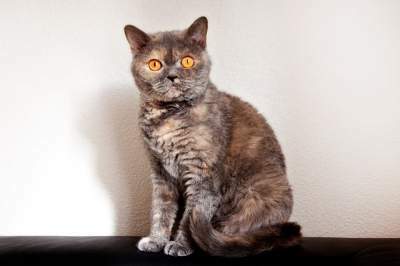 Yet another affectionate cat breed, the Selkirk Rex is cuddly and relaxed, but still loves to play. They can act silly at times, and they don’t always want to stay on your lap when active. They love their human parents and are happy to play with any toy that lets them chase. The Ragamuffin behaves like a puppy, learning tricks, playing fetch, and even walking on leash. They love a good lap to cuddle on and will often greet strangers at the door. They have a tendency to relax in your arms the moment you hold them and are known almost not to scratch people, though they like to demand attention. 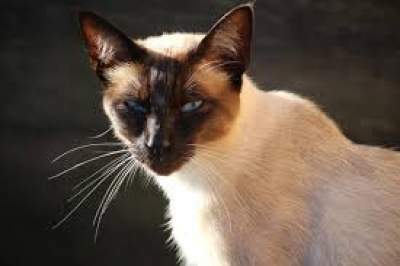 Balinese cats are busy, active, and sometimes right underfoot, so keep an eye out. They enjoy following humans and share a lot in common with Siamese cats. Because they are smart, they require mental stimulation, so if you want an easygoing feline, this is not the kitty you would want. Aside this, they have lots of affection to give. 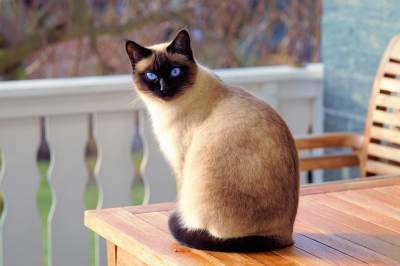 The Javenese is another affectionate breed that, like the Siamese, enjoys walking around with their human counterparts around and constantly chatters. They are athletic and intelligent, and you’ll also need to exercise their body and brain to keep them happy. 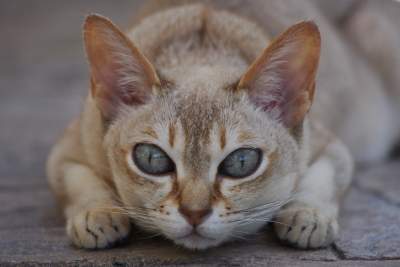 If you want someone to play and talk with all day, the Javanese may be the best breed for you. 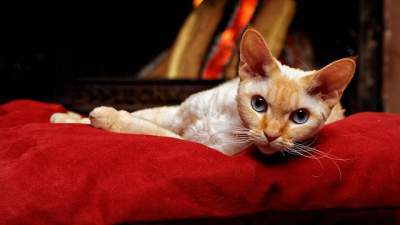 Snowshoe can vary a lot in personality, but they are usually smart, affectionate, and active. They have a tendency of picking a favorite person in the family, but will treat other human family with respect and kindness. They can be quite a chatterbox, but often remain quiet and go along fine with other pets. 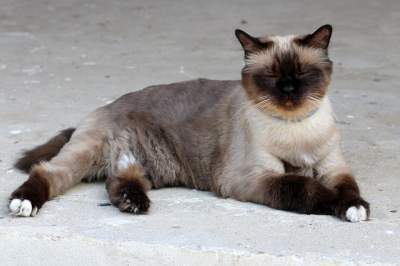 The Havana Brown cat is friendly and outgoing, and they primarily love their human families. They tend to follow them around and are sometimes prove to be demanding and chatty. Give them lots of toys because this breed is smart. You will be rewarded by cuddling on your lap once they feel satisfied. The LaPerm is like a clown and a mischief-maker, with a reputation of opening doors and stealing items they desire. Irrespective of their devious tendencies, they love their humans and are sometimes pleasant. They love playing fetch, rarely become vocal, and are patient and gentle with people. 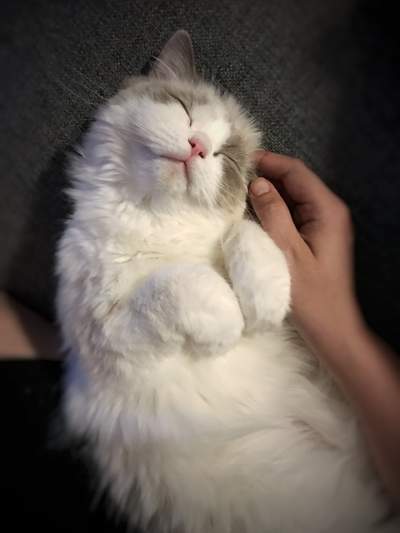 The Siberian cat loves to snuggle and isn’t normally scared of strangers who may walk through the door. 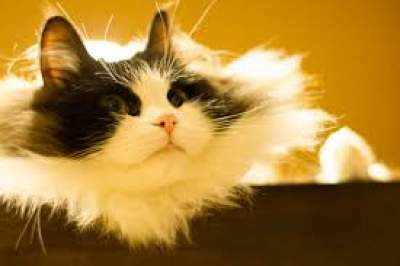 They are both playful and active cats, and they even enjoy playing in water. So do not be shocked when they join you in the pool or when you’re taking a bath. They are playful, yet calm and can make awesome therapy cats. 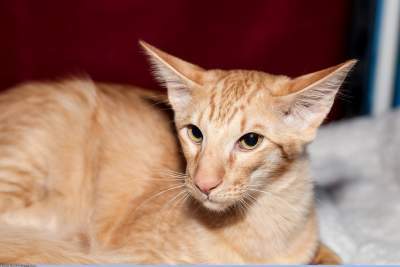 The Singapura is mischievous, loving, active, and fun. They love to jump, chase, and climb. They are even willing to jump on your shoulder for a ride. Singapura cats breed aren’t scared of strangers. They may be active, but are also cool cuddlers, and will snuggle with you when you’re feeling down. 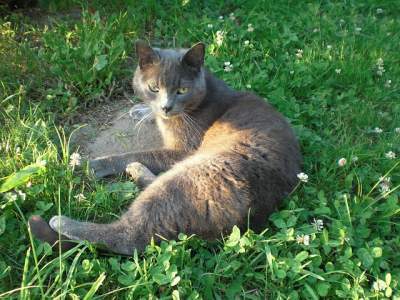 The Russian blue cat can be shy when strangers are around, but are pretty dedicated to their families. This breed may crave for attention, but they are also more than capable of entertaining themselves while you’re away at work. They naturally opt for a quiet, peaceful, stable environment. They may be difficult to keep up with, but if you can do it, they will reward you with heart boxes full of love. They are at their best if you can have a companion while you are away during the day. They protect their family and won’t hesitate to pounce on things out of the ordinary that looks like a threat. On normal days, they’d nap on your lap and are mellow. They enjoy going for car rides and playing in water, making them great travel companions. 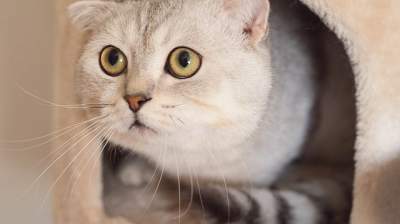 Sitting at #24 on our list of 20 most affectionate cat breeds in the world is the Scottish Fold. 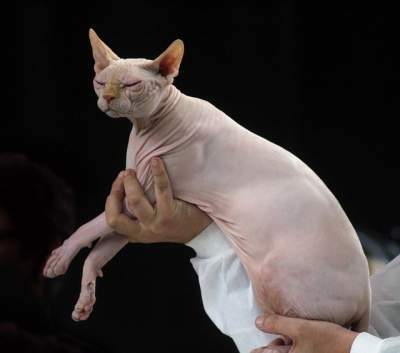 It is an adorable cat breed and weird, human-like poses. They love to interact with people and look forward to play time as well as Cuddle sessions. They do not like to be left alone for long hours, so they should have a companion during the day. We hope you liked our list of 20 most affectionate cat breeds in the world (and yes, we have added 4 more of the world’s friendliest cat breeds to the list. Kindly let us know your thoughts using the comment button below.